Last summer my father passed away. I only mention this because his illness forced me to spend far more time in hospitals than I ever hoped to spend. He spent almost three months in ICU unites, regular hospital rooms and nursing homes. He received kidney dialysis, CAT scans, X-rays, and almost every procedure you can think of. 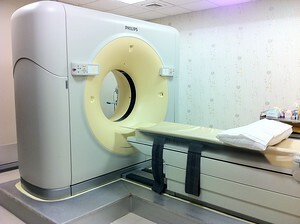 I saw first hand what the American medical system could do and I also I also had a front row seat to its downside. When I mention to most people the idea of seeking medical treatment in another country, especially Thailand, it invokes a knee-jerk reaction. They couldn’t conceive of going to a hospital in Thailand. They assume the facilities are unsafe, unclean, and lacking in modern equipment. This reaction is based mostly on ignorance. Late last year I had the chance to visit the Bangkok Hospital in Ko Samui, Thailand. It was an eye opening experience.